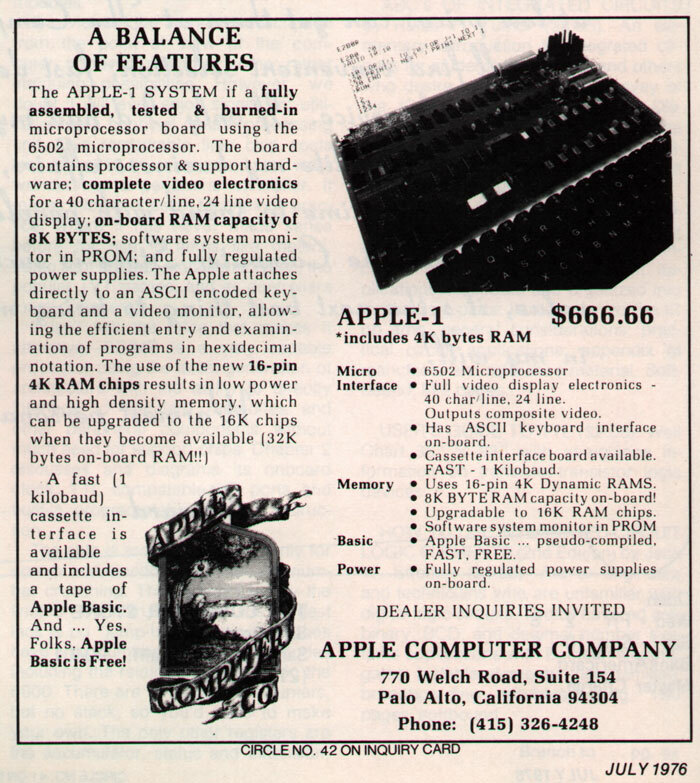 An Apple I, for only $666.66? Not any more. But have a look at the vintage ad, it's great! Be sure to download and enjoy the debut edition of the Classic Computing Podcast by David Greelish!